Congratulations! As many of you know, we have a new State Film Office with a new Director, Mathew Earl Jones. Officially named "Studio 48," The Office of Film and Media has been established by the Arizona Commerce Authority, the state's leading economic development organization. As President of the Arizona Production Association, I want to commend everyone in the Arizona Production Association and other industry leaders who have worked so hard over the years to see this dream finally become a reality. On behalf of the board and the members of the APA, I want to thank Governor Ducey for his commitment to our industry, its members, and all of the businesses it touches. I want to thank Bob Parsons for helping create this partnership by funding from the private sector, and board member Steve Brain for his tireless efforts. Now, it's our job to be sure that this new opportunity will be used to the best advantage for our members, and I can assure you that your APA Board of Directors will continue to work to this end and in keeping with our mission statement. Please join with me in welcoming Mathew Earl Jones as Director of Studio 48. Editor's Note: You can read the article about Studio 48 in today's issue of The Arizona Republic online HERE, and the joint press release issued by the Arizona Commerce Authority and YAM Worldwide appears below. 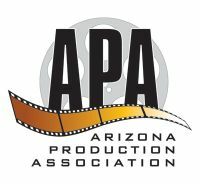 PHOENIX (December 1, 2016) - The Arizona Commerce Authority (ACA) announced today the official establishment of an Arizona film and digital media office. Known as Studio 48, the Arizona Office of Film and Media will work to showcase the state as a premium destination for entertainment industry productions. With the state's rich surplus of talent, resources, unique architecture and scenery - ranging from desert to forest landscapes - Studio 48 will elevate Arizona as a premium location that can challenge the likes of California, Nevada and New Mexico. The film and media office will offer location scouting, traffic assistance, talent sourcing and coordination with local and state agencies as needed. Moreover, productions coming to Arizona would positively impact the local economy by creating job opportunities and increasing tourism dollars by driving business to Arizona hotels, restaurants and more. The venture was made possible in part through a sponsorship that includes more than $250,000 in financial contributions from Scottsdale, Ariz., corporation, YAM Worldwide, Inc., owned by American entrepreneur and philanthropist Bob Parsons. "Supporting the establishment of a state film and digital media office will bring movie-making back to the great state of Arizona, and that's good for the economy," said Parsons. "The office gives all of us in Arizona the opportunity to show the rest of the world what a powerhouse we are in the film and media industry." The ACA has appointed Matthew Earl Jones as Director of Studio 48. Earl Jones has flourished on both sides of the camera in film and television, as well as the music industry. As the new Director, Earl Jones will bring his more than 30 years of production experience in major markets to Studio 48 and Arizona. One of Earl Jones' first tasks as Director for Studio 48 is leading a delegation of Arizonans headed to FOCUS, an international production conference taking place in London December 6 and 7. This show is a prime opportunity to introduce Studio 48 to professionals around the globe, from all sectors of the creative community. "Thanks to the support from our business community, city film offices, and the Arizona Commerce Authority, Studio 48 is ready to revitalize and grow our industry," said Mathew Earl Jones, Director, Studio 48. "It's time to place Arizona back on the map as an optimal location destination." The Arizona Commerce Authority (ACA) is the state's leading economic development organization with a streamlined mission to grow and strengthen Arizona's economy. The ACA uses a three-pronged approach to advance the overall economy: recruit, grow, create - recruit out-of-state companies to expand their operations in Arizona; work with existing companies to grow their business in Arizona and beyond; and partner with entrepreneurs and companies large and small to create new jobs and businesses in targeted industries. Visit azcommerce.com for more information. Studio 48, the Arizona Office of Film and Media, was established in 2016 with a focus on establishing Arizona as an ideal filming and digital media destination for the entertainment industry. Made possible in part by a sponsorship contribution from YAM Worldwide, Inc., the office works to bring productions that will positively impact state and local economies through job creation, travel and tourism. Visit www.azstudio48.com for additional information. Based in Scottsdale, Arizona, YAM Worldwide, Inc. is home to the entrepreneurial operations of Bob Parsons, American entrepreneur and philanthropist. YAM Worldwide's core businesses include: SNEAKY BIG STUDIOS, BIG YAM, The Parsons Agency, Harley-Davidson of Scottsdale, GO AZ Motorcycles, Spooky Fast Custom Finishing, Southern Thunder Harley-Davidson and alternate retail outlets Graceland Harley-Davidson and Blues City Harley-Davidson, Scottsdale National Golf Club, YAM Capital, YAM Properties, Parsons Xtreme Golf (PXG) and The Bob & Renee Parsons Foundation.